Welcome to Than Merrill’s official website and home to his real estate blog. Learn about Than, his media appearances and connect with him on social media. 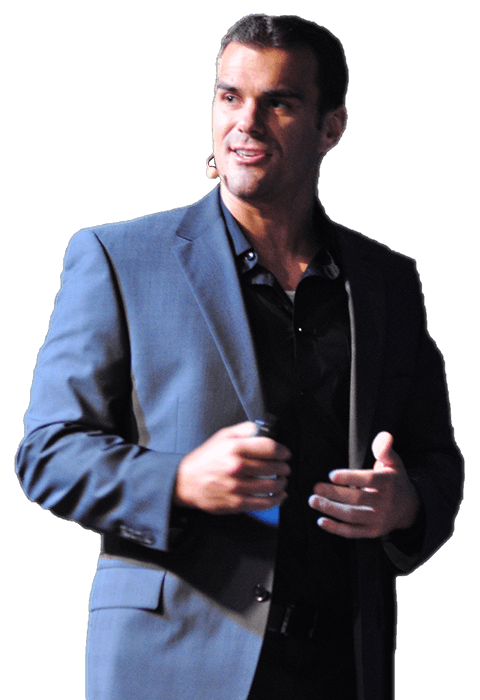 As a national real estate investing expert, Than has starred on TV, author investment and business books and has presented at live events across the country. Than is the founder of CT Homes, a real estate investment company based in San Diego with 25-40 active deals at any given time. He is also the founder and CEO of FortuneBuilders, an education and coaching company that develops curriculums, tools and systems directly from his active investment business for aspiring investors all over north america. Than is the best-selling author of two real estate and business books. Check them out and pick up a copy! Check out the wonderful reviews and testimonials that people have shared about Than. From his books, TV show, education and coaching, speaking engagements and his customers, Than is always humbled by the changes he has inspired in people's lives with real estate. He loves to hear from his students and fans and read about their inspiring stories. "I am extremely impressed with The Real Estate Wholesaling Bible by Than Merrill. There’s a ton of value in this book. I actually put down the highlighter because I was highlighting every word and sentence. All I was doing was turning the interior pages yellow. Great book!" "I have been a real estate investor for 12 years now. I have purchased over 200+ properties and this book (The E-myth Real Estate Investor) was a breathe of fresh air. I highly recommend this book and in fact am working on getting my whole team a copy." "I just wanted to say thank you Than Merrill for an outstanding real estate education. I find the curriculum to be powerful, it is truly more than i expected. You not only gave us the systems and step-by-step instructions on how to build your business but you also implemented core values, time management, and the psychology behind the sales, something you didnt really have to do." "I'm addicted to this field. I LOVE IT, and my heart goes out to Than Merrill, the entire Fortune Builders team, and to the raw power of proven systems. I can smell success cooking ... I can't wait to taste it!" "This one is for Than and the gang. I just wanted to say thank you to Than and the rest of the coaches. The information you guys present is awesome and I can't wait to start utilizing it." "The most impressive aspect of FB is that it is THE most comprehensive Real Estate Investing course. And Than does it in a way that makes you look and act like a real professional. His insights on client relations are unique as I've never heard anyone else in the industry actually go into such detail to go over that."